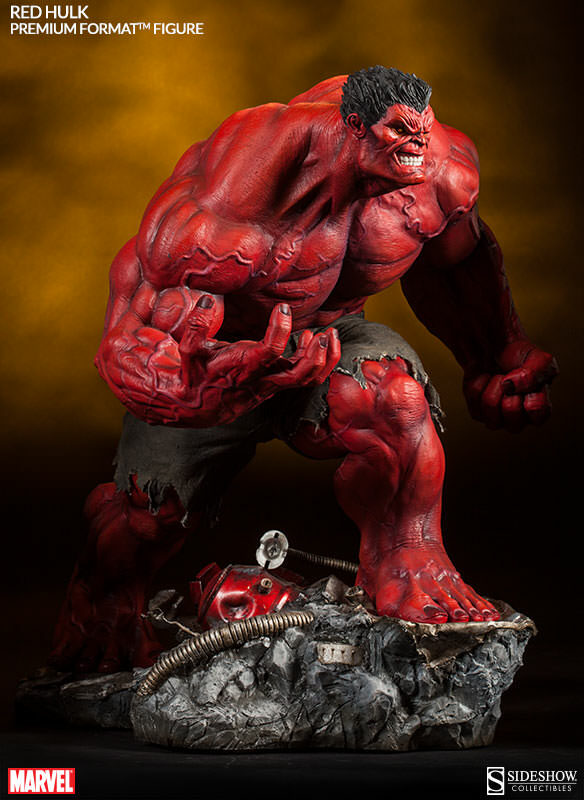 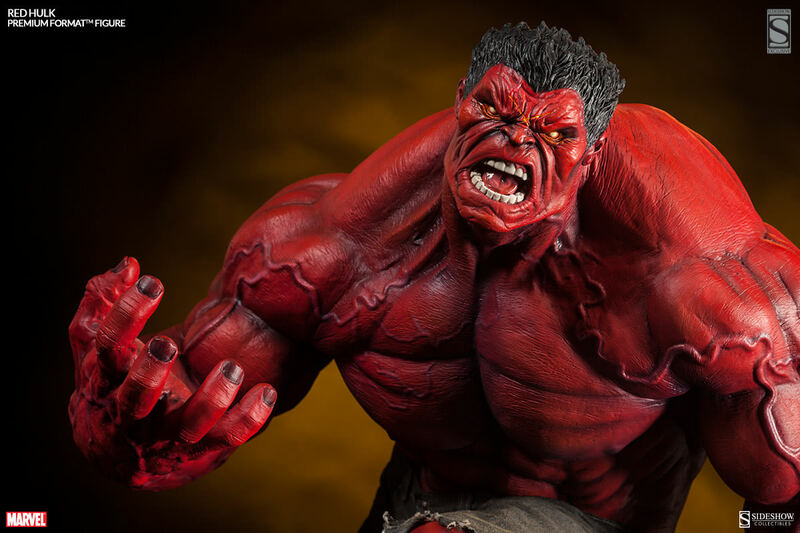 Joining the Incredible Hulk and Gray Hulk, Sideshow Collectibles is proud to introduce the Red Hulk Premium Format™ Figure from our Marvel Comics Hulk Premium Format™ Figure series. 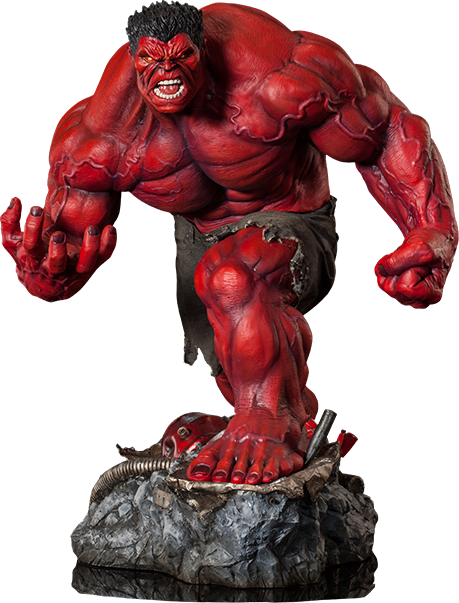 Born into a family with a proud tradition of military service, General Thaddeus Ross rapidly earned a reputation among his troops as a great leader in combat, and the nickname 'Thunderbolt' for his ability to execute lightning-quick battle strike tactics. 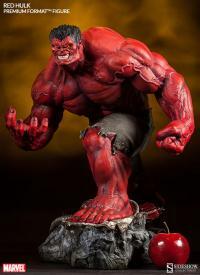 But when a career devoted to hunting the Incredible Hulk turned into a dangerous obsession, Ross ultimately became his own worst nightmare - consumed by vengeance, he was transformed into the unstoppable Red Hulk! Crashing onto the scene in one quarter scale, Rulk tears up the terrain, leaving broken Hulkbuster armor wasted at his feet. 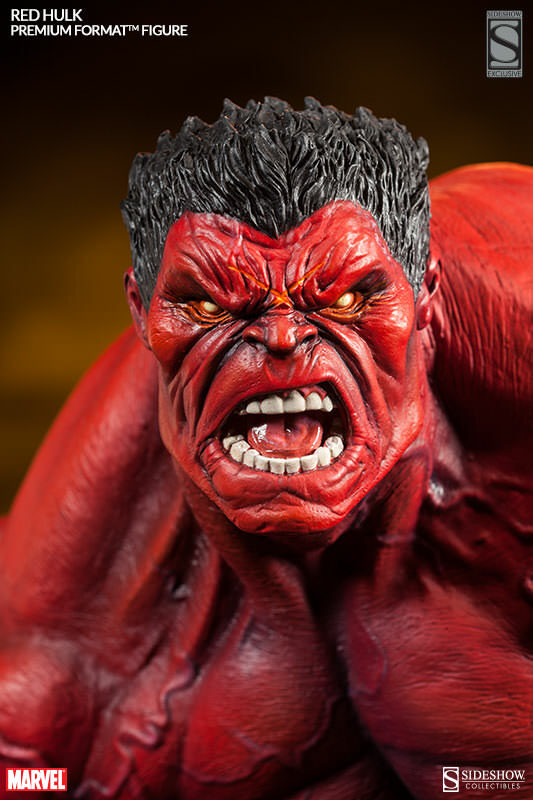 Fantastically crafted with remarkable attention to detail, the Red Hulk taunts his next opponent with a savage grin as he plots a course of total annihilation. 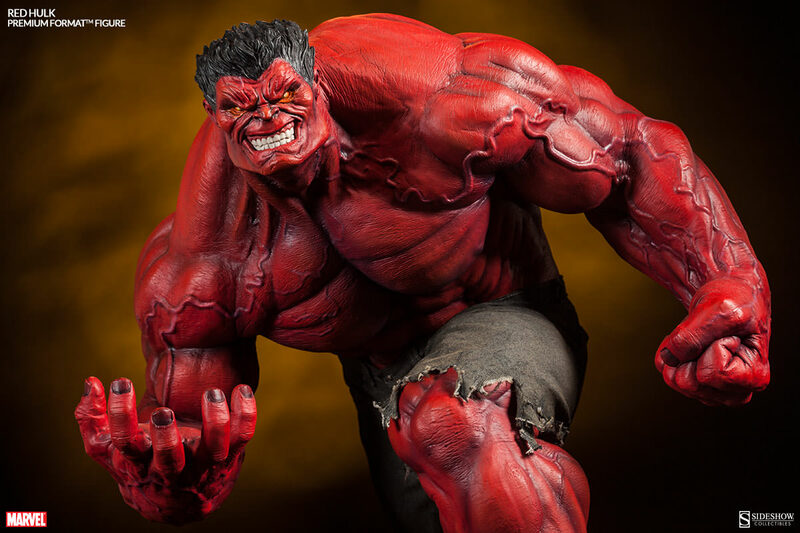 Quite literally one of the hottest Marvel villains of all time, the Red Hulk Premium Format™ Figure is an outstanding addition to any Hulk or Marvel collection. 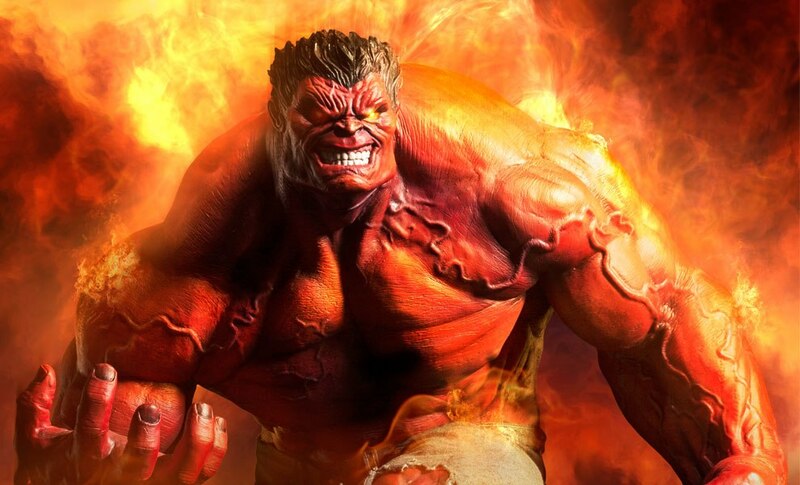 Born into a family with a proud tradition of military service, General Thaddeus Ross rapidly earned a reputation among his troops as a great leader in combat, and the nickname 'Thunderbolt' for his ability to execute lightning-quick battle strike tactics. 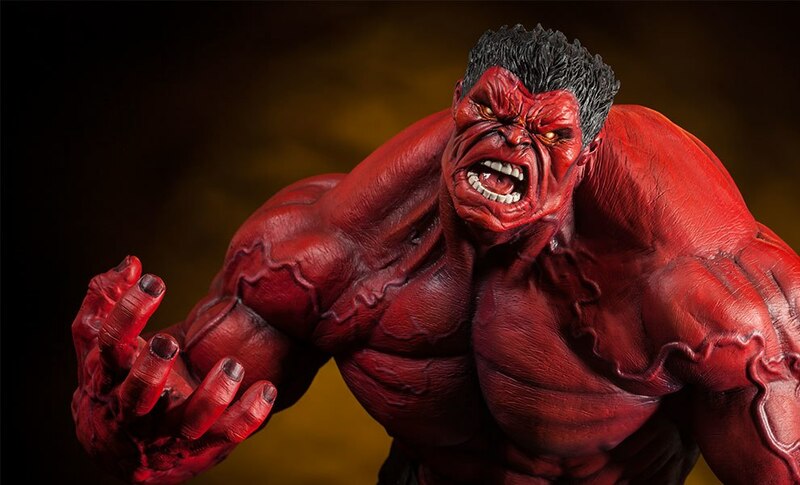 But when a career devoted to hunting the Incredible Hulk turned into a dangerous obsession, Ross ultimately became his own worst nightmare - consumed by vengeance, he was transformed into the unstoppable Red Hulk! 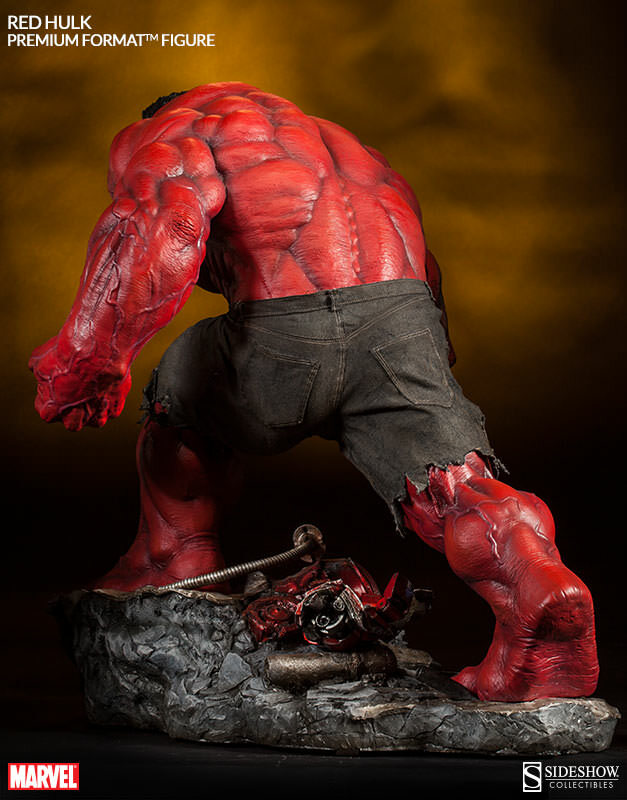 Crashing onto the scene in one quarter scale, Rulk tears up the terrain, leaving broken Hulkbuster armor wasted at his feet. 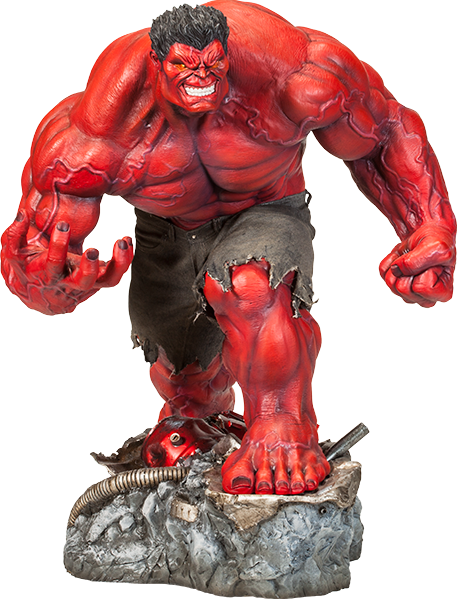 Fantastically crafted with remarkable attention to detail, the Exclusive Red Hulk comes with two interchangeable portraits to depict him taunting opponents with a savage grin, or blinded with unbridled rage over the ‘X’ where Thor’s hammer landed its mighty blow. 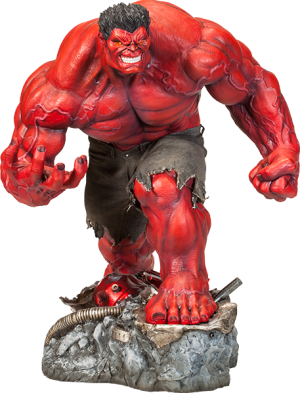 Quite literally one of the hottest Marvel villains of all time, the Red Hulk Premium Format™ Figure is an outstanding addition to any Hulk or Marvel collection. 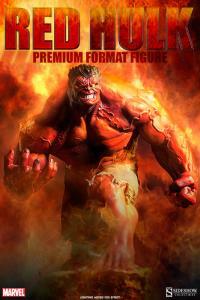 Pay as little as $275.00/mo. 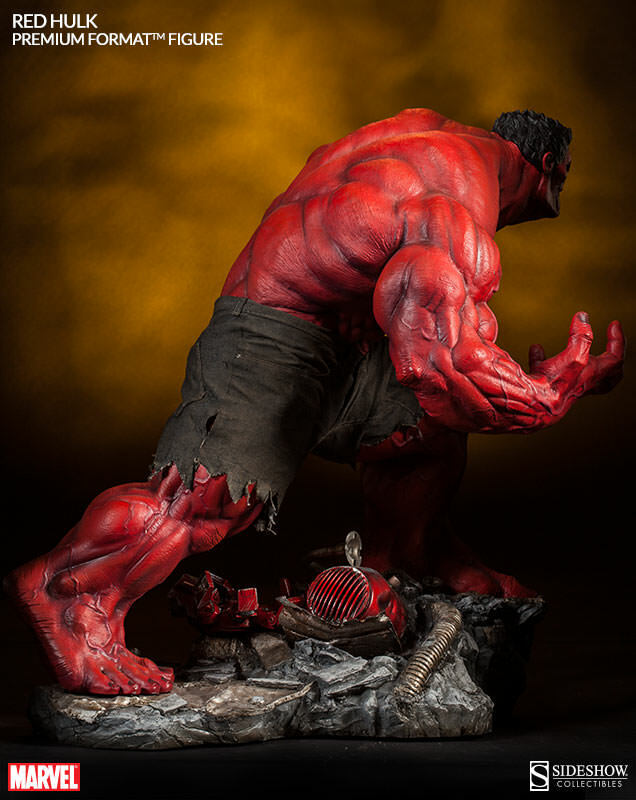 This statue is awesome. 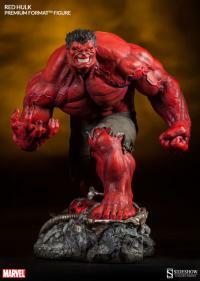 Just got one. 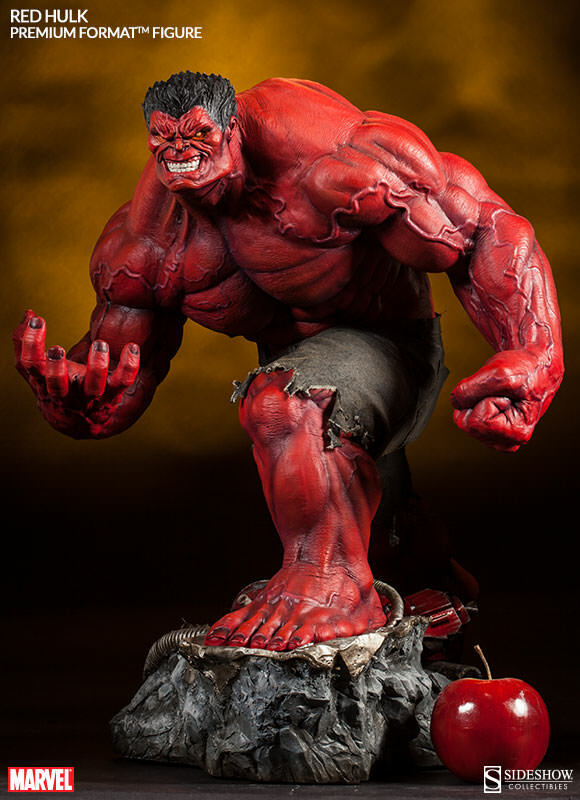 As with any big statue from SS. It is very heavy once displayed. 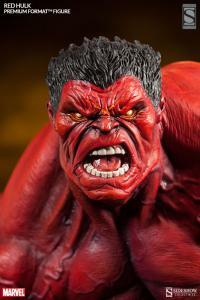 But the level of detail put by Red Hulk team is absolutely amazing. Again the sheer size once displayed does not do justice to this statue; has to be seen and admired in person. Thanks team SS for such an amazing piece.